A garden shed or a play house as a weekend project, why not ? Despite the time of the year, you may be discovering that you have accumulated many things during the summer months and are now in need of a place to put all of the recreational and pool equipment, garden accessories & furniture, gardening tools & supplies and all of the other necessities of summer living that will not be in use until next year. We propose a few storage solutions that can help! Will it blend in with its surroundings? The perfect solution for storing all of the small and medium sized summer accessories that are so useful in season, a beautiful garden shed that matches your home is not the same as the old style, generic metal shed that was once so popular. The main thing to consider is the style, which should complement the architectural style of your home. 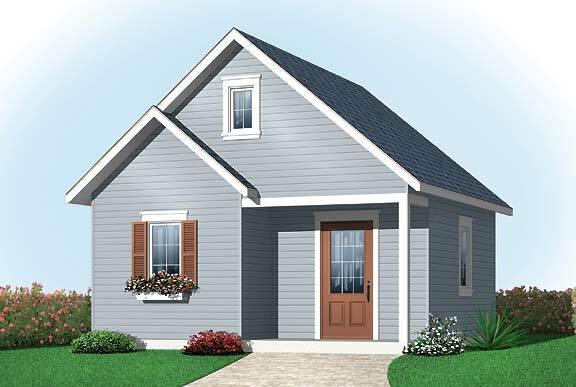 The finishing materials, horizontal or vertical siding for example, window trim and shape are also important as is the roof pitch. The roof pitch is the angle of the slope of your home’s roof. Although it is recommended to match the pitch of a garage to that of the home, you may want to come as close to it as possible when matching a shed to maintain harmony and the feeling that it was made to be a part of your yard. Use this link to discover all of the styles and sizes of our shed plans, starting at just $149.! Whether it’s a castle for your little princess or a fort for the boys, from Craftsman to Victorian and everything in between, we have the playhouse plan that will bring a sparkle to your child’s eye! House for small family,with agirl of 12yrs and a boy with 9yrs.